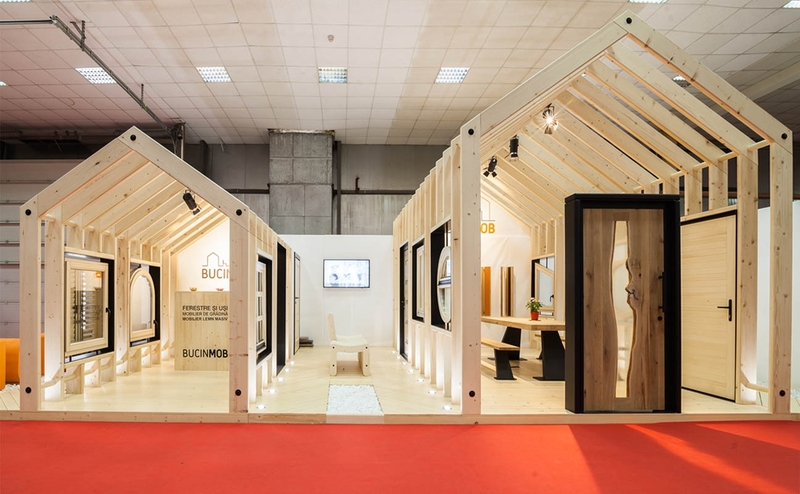 If you’ve ever been to any furniture fair, you noticed that most display elements don’t do a lot of justice to windows and doors. They always seem to be crowding the way, unnecessarily so, in their metal or wooden mounts, just standing there like a sore spot. 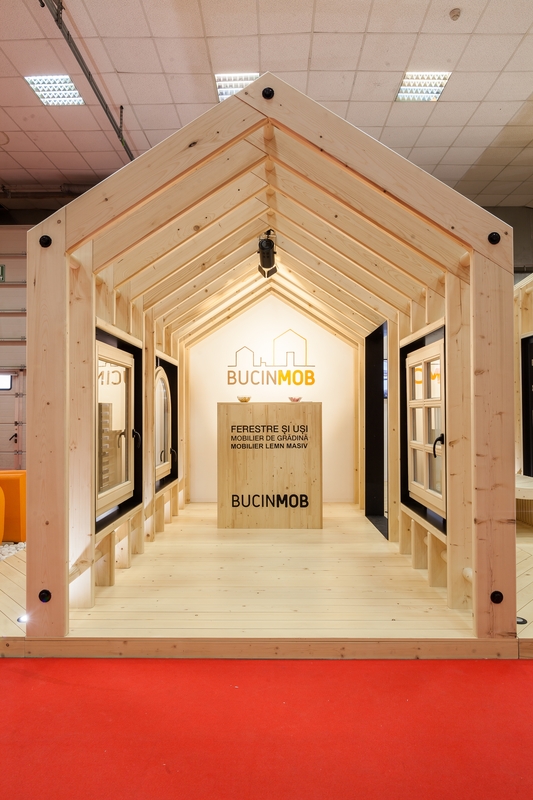 This particular booth was inspired by the Bucin Mob’s very logo, which is comprised of frames. 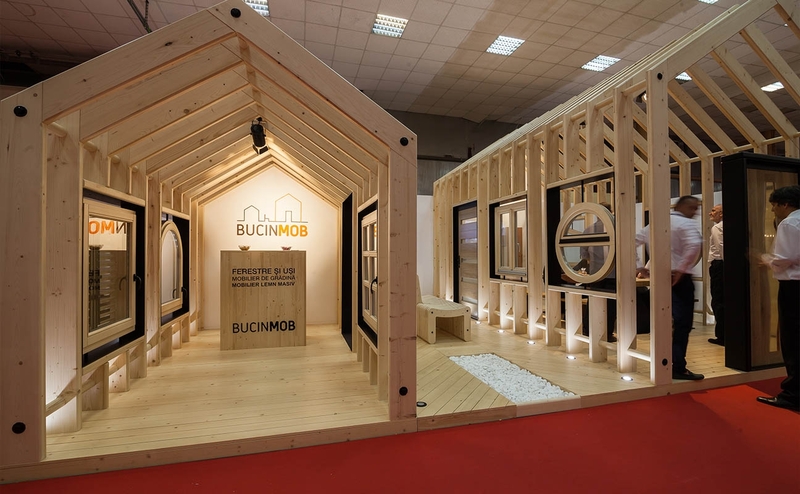 The frames not only gracefully display the windows and doors in realistic contexts, but if you take a couple of steps back and gain perspective, they also mimic Bucin Mob’s identity. – now it’s impossible to forget their logo or what they do. Through this design, we even developed a new piece of garden furniture, the chair in Bucin Mob’s logo.